Armand Coussens; 1881-1935, French etcher, born in Saint-Ambroix, studied at the Beaux-Arts, Nîmes, under Alexis Lahaye, he lived and worked in Paris for a time where both his paintings and etchings were exhibited at major salons such as the Societe des Artistes Francais and at l'hotel Drouot. Coussens then moved back to his studio in Nimes where he continued to create his beautiful colour etchings of landscapes and figure studies. 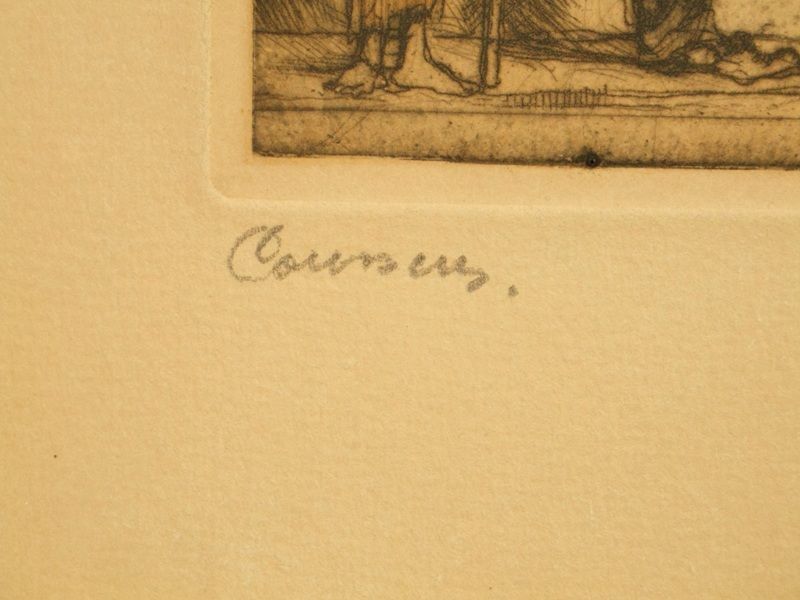 As a leading colour etcher, Coussens’s art was often appreciated for his use of combining the thick, velvety lines of drypoint engraving with the delicate lines of soft-ground etching. 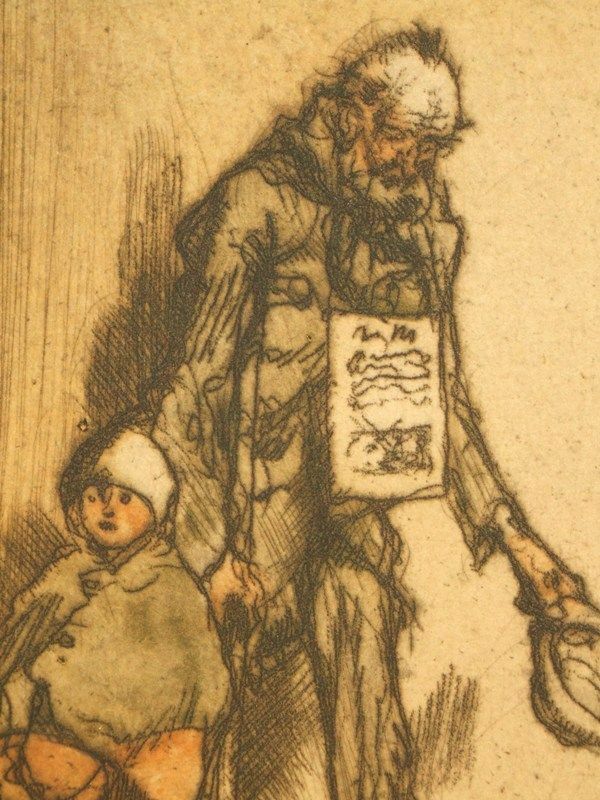 Such techniques gave his art unique tonal values. 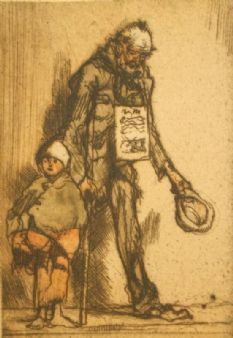 A fine drypoint etching, bright and unfaded, with superb drypoint burr and ink depth, the image measuring approximately 6 cms. x 9 cms. (2½ x 3¾ ins.) within a strong platemark and impression. 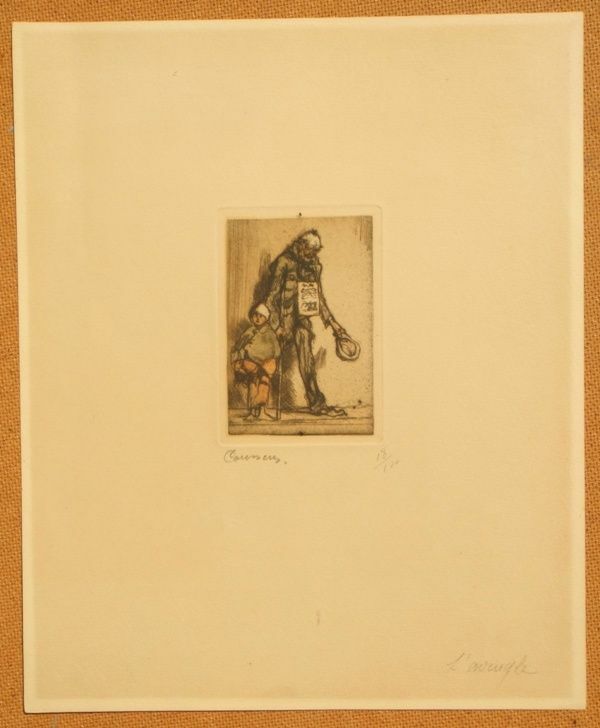 Printed on a medium wove paper sheet, size; 24 cms. x 30 cms (9½ x 11 ins.) with full margins and makers watermark. 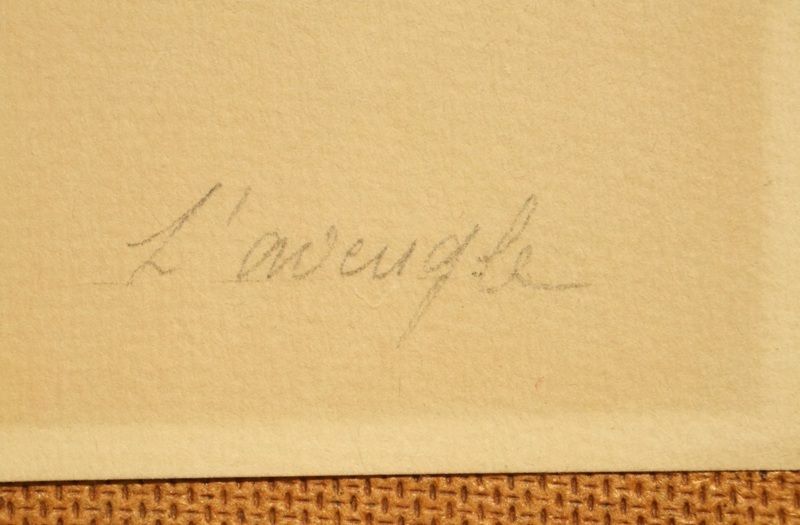 Signed in pencil by the artist beneath the image with the edition 18/100 and the title in the lower margin.